The price continues forming diagonal triangle pattern in wave  of C, and may reach a new local maximum during the day. After that, the mid-term trend is likely to make a reverse, and we may expect the start of the correction, at least. More detailed wave structure is shown on the H1 chart. 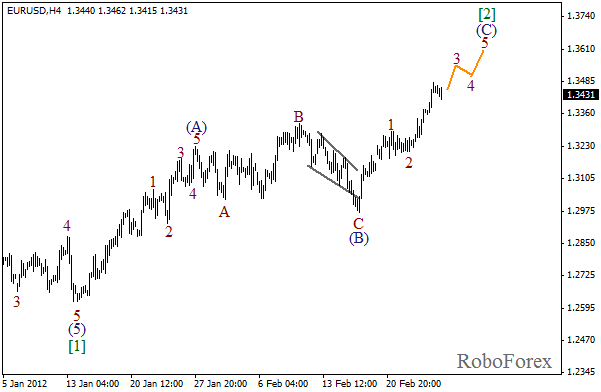 It looks like the price is forming wave B inside wave (3). The short-term forecast is still the same. In the nearest future we can expect the price to start growing while forming wave C.
Euro continues growing up. 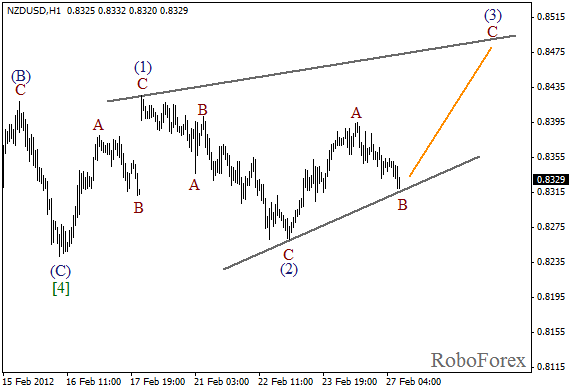 It looks like the price is forming wave 3 of (C). The current wave structure is far from being completed, that’s why the market may move much higher. 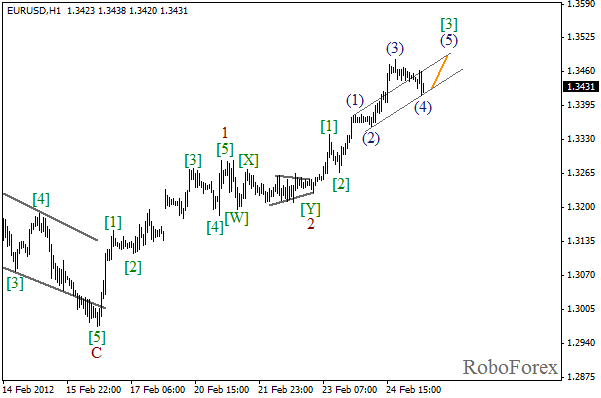 The target for the bulls for this week is the level of 1.3600. It looks like the price is forming an extension in wave  at the H1 chart. On the minor wave level we can see that the market is finishing the fourth wave. 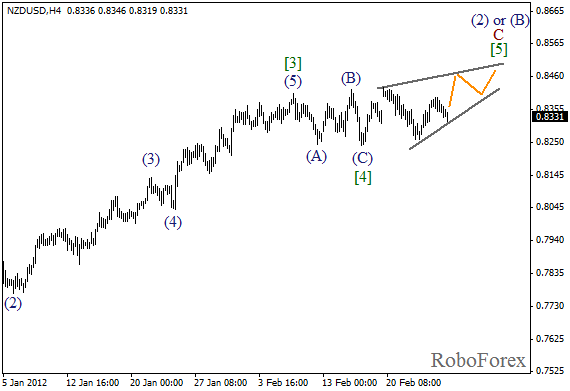 During the next several hours we can expect the EUR/USD currency pair to start growing up while forming wave (5) of .